Safe working depends on a combination of plant, processes, place and people. 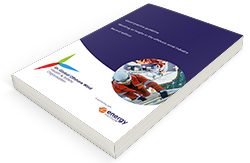 The G+ Offshore Wind Health & Safety Association (G+) has commissioned the update of this good practice guideline to address aspects of each of these areas, with a focus on work at height (WAH). This second edition has been informed by more recent G+ incident data. Whilst dropped objects are a significant hazard with respect to WAH and were covered in the first edition guidelines, the G+ has decided to adopt the DROPS guidance in relation to falling objects; dropped objects have therefore been removed from the second edition as the publication refers to separate guidance on this topic. The revised edition also covers wider regulatory requirements, expanding its focus from EU countries to consider China, Japan, Taiwan and the USA.